Erickson himself has made clear that he endorses harmful and discredited efforts to change gay people's identities, having written on June 20 that gay people must "overcome" the "struggle" of homosexuality. 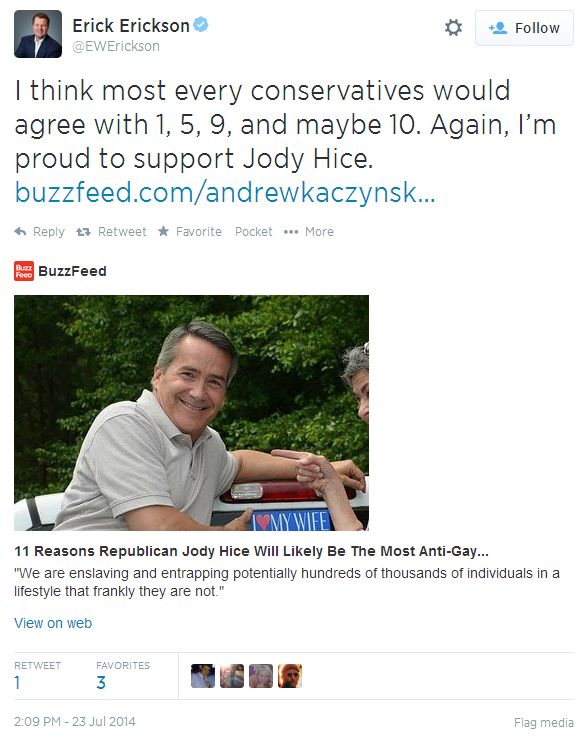 At Fox, Erickson stands out as one of the network's most rabidly anti-LGBT commentators. 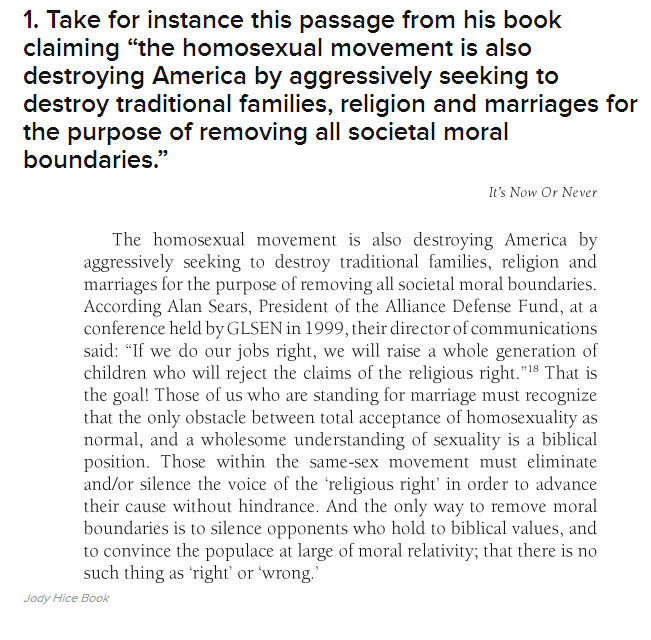 He has previously written that gay people are on the "road to hell" and warned businesses that serve gay couples that they are "aiding and abetting" sin.